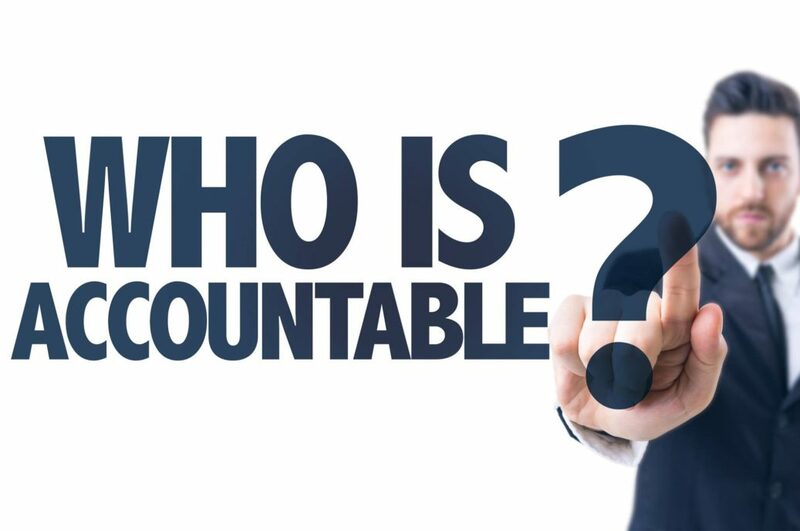 Living a Life That Matters Who Is Accountable? IS IT ENOUGH YET? 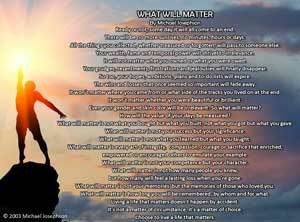 Can we overcome our basest instincts and listen to our better angels? How sad that a good week for me, highlighted by an unlikely unanimous endorsement of CHARACTER COUNTS! by the Senate supported by a Presidential proclamation followed by an exhilarating 18 inning World Series game win makes my small joy and pride seem shallow an irresponsible. • Political figures have been hounded and harassed in restaurants. • Journalists have been vilified and threatened. • A journalist who resides in Virginia was murdered and apparently dismembered by Saudi overlords. • Thousands of fear-driven, desperate Central American homeless migrants are in the midst of a thousand-plus mile trek across foreign lands in a quest for refuge. • Hundreds of investigators and police were mobilized to stop and track down a politically motivated avenger who sent more than a dozen package bombs to intimidate and possibly kill high profile opponents of his partisan sympathies. • And today, the Jewish community of Pittsburgh and elsewhere were terrorized and the families of more than a dozen innocent worshippers were decimated by the exploding hated of still another unstable bigot. We are in a very dangerous place. If we do not transform our outrage and anger into a lasting and serious commitment to reverse the momentum toward reform, matters will most certainly get worse. We are already normalizing things that we must never accept as normal. We are feeding and fueling our worst instincts – self-righteousness and intolerance over understanding and acceptance and selfishness over compassion and love. We are sanctioning grudges and pursuit of revenge and grudge belittle our capacity to forgive and to transcend our differences to work together to find solutions and bridge ideological chasms. Disagreements need to be addressed with discourse, not combat. We need to be held accountable to treat people we disagree with as opponents with different values and views, not as evil enemies to be persecuted and eliminated. No one should encourage or condone the harassment of public figures in private places. We must protect and respect honest journalists, whether we agree with their political orientation or not. We must overcome the pressures of economic or political expediency to unequivocally re-assert moral leadership based on our best American values when foreign adversaries or allies’ disrespect fundamental human rights. We need to acknowledge the causes of mass migrations to safety and work with other nations to find humane solutions. Our salvation requires that we overcome our basest instincts and listen to our better angels. We are way past lamentation. We must act. Why the. people in the White House are not proactively putting together a peaceful plan of assimilation along the lines of “give me your tired, your poor…your humble masses yearning to be free”…to welcome these refugees on the march to our border disturbs me. Instead we are taking the easy route: troops with guns as if these men, women and children are a threat to national security. Really. Some of them could in fact be a threat, maybe not to national security but to John, Jane, Bob or Jim; in other words to ordinary people just living their lives. So the reality is you cannot have open borders for people just to walk in; do we really believe that those who desire with all there heart to do us harm wouldn’t use that kind of open border policy to waltz right in and kill, hurt or harm as many people as they can before we react to stop them instead of us being proactive to prevent that in the first place!! I believe we should welcome those who seek a better life here in America; but we have to do it within the laws that are there to try and prevent us from simply opening the door to the wolves. Very few countries in the world have open border policies that allow whomever to stroll across their borders without some type of consequence!! So before we start pointing fingers; lets have open dialog with each other and find ideas that we can share on issues like these and others to make our country a better place to live.